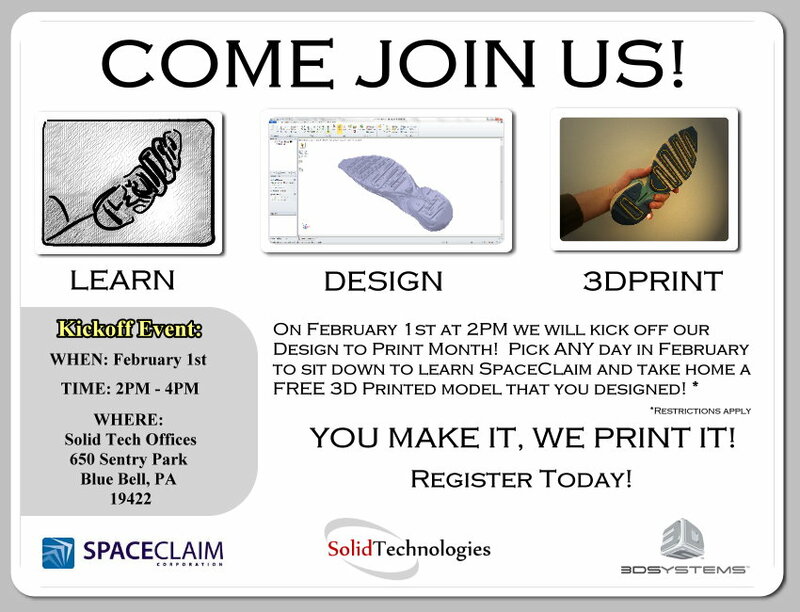 For the entire month of February Solid Technologies will be offering design to print seminars at our Blue Bell location. Take ANSYS SpaceClaim for a quick 30 minute test drive, design your model and then print your design on a ZPrinter 650 for free*. See how easy it is to bring your ideas to life. Join us on Friday, February 1st for an Open House featuring ANSYS SpaceClaim. No other software package can produce a conceptual model faster than ANSYS SpaceClaim Engineer.